Dice games are popular because they require few, if any, pieces other than the dice themselves. The game Horse uses five dice and can be played by any number of people. The length of time the game will take depends on the number of players involved and the number of “horses” required to proclaim a winner of the contest. Each player of the game rolls a sing dice to determine who will start play. The player rolling the highest number begins. 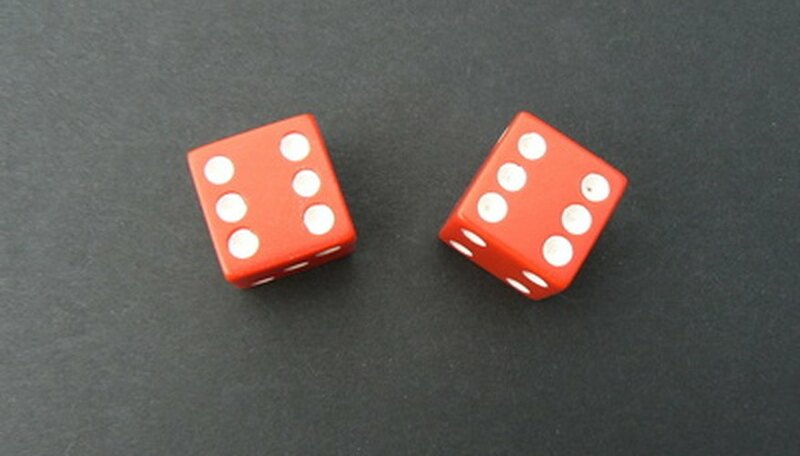 If two or more players roll the same high number those players re-roll until a single player has the highest number and takes the first roll. The object is to create the best score of the dice. The scores, ranked from high to low, are five of a kind, four of a kind, full house, three of a kind, two pair and one pair. Straights or runs do not count in the game of horse. One variation of the game has aces, one dot on the dice, as wild. This increases the scores in the game. The first player begins by rolling all five dice. He may set aside any of the dice to build his score, and continue with a second roll of the remaining dice. He may roll a total of three times but is not obligated to. He can stop after any roll if satisfied with the score. The number of rolls the first player takes determines how many rolls the rest of the players will get for that round. Each additional player rolls the dice, trying to beat the score of the first player and all other players of the game. When all players have rolled the dice the player with the highest score of the round has a “horse” or point in the game. The game proceeds with the player to the left of the original first player rolling first. The number of “horses” required to win the game should be determined before the start of the game. In some cases two “horses” wins the game while other horse players draw the game out by setting the threshold for the winner higher. In some areas the game is played in bars to determine who purchases the next round of drinks or food.